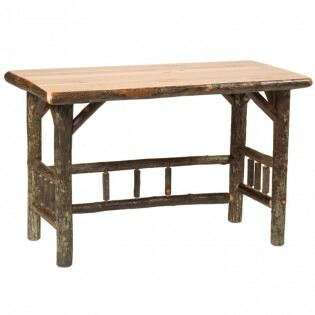 This rustic desk can bring the cabin lodge look to your home office or any where you need the convenience of a stylish writing surface. Our Hickory Open Writing Desk is individually handcrafted and with bark on hickory logs that are kiln dried to a specific moisture content. 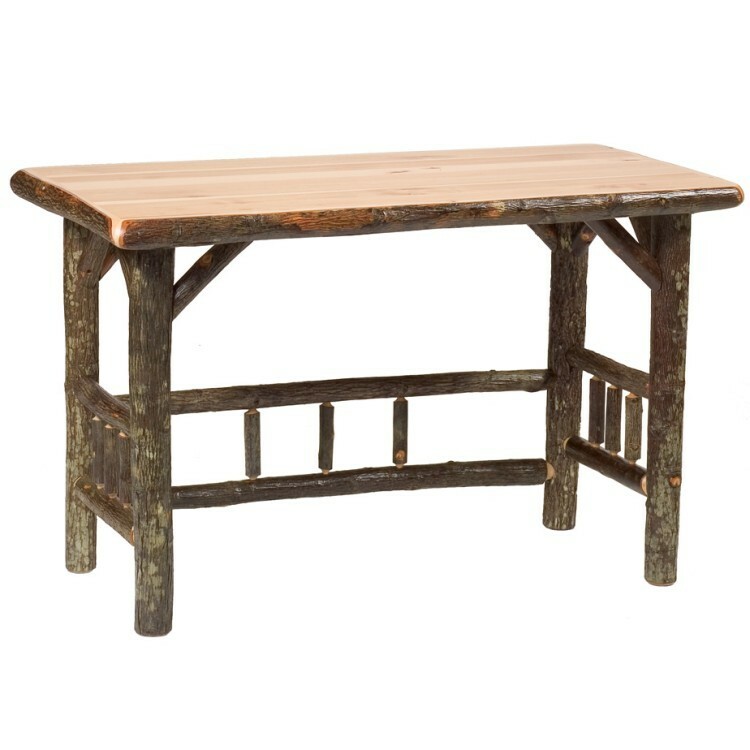 This rustic desk can bring the cabin lodge look to your home office or any where you need the convenience of a stylish writing surface. Our Hickory Open Writing Desk is individually handcrafted and with bark on hickory logs that are kiln dried to a specific moisture content. This rustic hickory desk is Clear-coated with a catalyzed lacquer finish or liquid glass for extra durability for preventing denting or scratching of surface.